Last month I ran out of gas. Horrors, I know. But did I listen? No. I was running around town trying to pull a dozen little details together for my daughter’s 8th grade graduation ceremony, her end-of-the-year drama presentation, a family vacation, and then there was my son’s upcoming flag football tournament. And then there I was. With my Tahoe grinding to a chugging, embarrassingly slow stop along a busy street, just a mile or two from home. My end-of-the-road parking spot was just a few feet away from where a work crew was fixing a traffic light. A policeman was also there and when he saw my stalled vehicle, he ambled over and listened to my sheepish explanation. A couple of minutes later the work crew came over and said they had a half-filled gas can and they would fill up my tank. I think I’ve laughed at that line for the past month, but he was right. 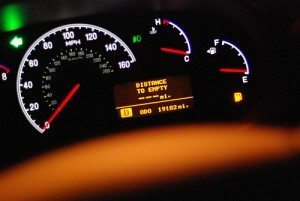 I had been ready, once again, to stay so focused on my immediate goal that I was overlooking the bigger picture: making sure my vehicle’s tank had enough gas to get me from Point A to Point B and beyond. The lesson I learned from this experience is how easy it is to get distracted by the tyranny of the urgent and lose sight on what is truly important. I was feeling so pressured to take care of all my errands so my daughter would have the “perfect” graduation experience and every single loose end would be taken care of that I neglected to spend 5 or 6 minutes stopping by a gas station, which didn’t seem nearly as important until the moment when my gas pedal stopped working. Now, maybe in your case your vehicle has plenty of gas and you carry a spare gas can with you, but what if your child suddenly got a gushing nose bleed? Would you have enough tissues with you and the knowledge of how to treat a serious bloody nose? Would you be scrambling around, looking for something, anything, to take care of it? n how to respond when the fire alarm goes off? 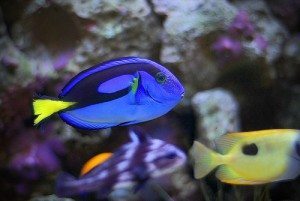 I had transformed from Super Career Woman into Dory. The tyranny of the urgent caused my focus on more important things to become fuzzier and disjointed. Being ready for everyday disasters and worst case scenarios is the bigger picture we need to focus on. So, I’ve slowed down a bit. I’ve stopped setting goals of perfection for myself that require all my attention and swerve my attention toward petty details and away from necessities. Not even The Survival Mom is a Survival Mom every waking minute and every now and then we need a wake-up call. Mine was sitting on the side of the road, wondering how on earth I was going to push my Tahoe to a gas station. By the way, thanks to the gourmet graduation cookies I had just picked up from the bakery, I was able to hand over several of them to the helpful work crew in exchange for the gas. So, I guess it was ultimately a win-win for everybody. UPDATE: I just went out and checked. My gas tank is 3/4 full. I ,too, ran out of gas ONCE….about 2 years ago. I was so embarrassed to have my employee bring me a full gas tank to get me to work, less than 2 miles away. It will NEVER happen again! In fact, every Saturday I fill my tank no matter what. This past weekend, I was working in my garden (in my 6′ fenced in back yard, gates secured with high end padlocks) and my boys were tooling around with our chickens. My husband left for a meeting and locked us out of the house ( for almost 7 hours). Glad to know my security measures were pretty solid, as I couldn’t break into my own house and had difficulty breaking out of my yard ( ended up stacking picnic table and benches to hop over … Watch the spikes on the fence!). My children were hungry ( they ate all of our cherry tomatoes ripe or not, strawberries and blueberries) and thirsty ( we have untreated well water for the yard which I prefer they don’t drink) and downright cranky. I was so frustrated with myself to not have a hidden key. I always thought it would impair our home security. We escaped our yard and went to our neighbor’s house to get hydrated and out of the heat (90 degrees) and sun. Needless to say, a spare key to our back door is now hidden on our property. Good to have this scenario where no one was hurt. My husband was surprised that his prepper wife wasn’t so prepared at all. A very good friend of mine had a 16 yr old son who was out hunting with a friend. An accident happened and the son was shot in the stomach. The friend drove him back to town to get the ambulance. Our closest hospital is an hour’s drive away. The ambulance took him to the hospital where he died. But my friend had to stop at the local gas station to put gas in her car so she could follow the ambulance to town. Her son died before she got to the hospital. That was more than 60 years ago, and she never allowed her car gas gauge to drop below 3/4 of a tank again. She has told that story to many people and always admonished them to FILL UP all the time! However, I met the guy of my dreams when I ran out of gas when I was a teenager. And we started dating. Never would have met without the empty gas tank! I locked the keys in my car last night, it was a total disaster today! I was suppose to teach a caregiver class, I had all the supplies locked inside and no extra key. I caught a ride to work, had no supplies to teach with, and hubby had to take off early. We did go make an extra key, but oh my…how stupid I felt this morning to call in and say I’m going to be late! For me, it was too much stress! We have a kitchen demolition going on, mom just went on hospice, I’ve worked way too much lately…and on it goes. My son took the bus home from school, he had lost his housekey the day before so I gave him mine. I tried calling and no answer, rushed home from work calling people like crazy. I get to my house and he is asleep on the couch. I couldn’t get him to wake up and the dog didn’t bark because she knew it was me. I ended up breaking a pane of glass in the door to open it. From then on an extra key lived at Mamaw’s who lived within walking distance. Survival Mom… guess what happened last week… MY WIFE ran out of gas as well… and… she did NOT want to call me !! She did, but she knew she was going to get it. I’m glad you listened to me on Jack Spirkos The Survival Podast and heard what I had to say about running out of gas. Just don’t do it. Its NOT an option. Think that car is just something to haul your rear end around ?? NO … . its NOT… its your mobile power system that can keep you illuminated and communicating in a disaster….and it can’t do that without fuel…so fuel up often…. don’t go below 1/4 tank. Disasters are NOT planned, they are NOT predicted…they come out of the blue and what you have in your tank is what you are stuck with. You are NOT getting anymore during the disaster…period. KEEP UP the great work Survival Mom. You are a great example to all. We all have points where we are not good spouses, parents, Christians, etc. Don’t sweat it too much. I guilty of hounding my family about keep their gas tanks topped up. Some years ago I instituted the “1/2 is empty” rule. It took a year before everyone got on board (and my wife still has times when I say “Let’s take your car” and she says “Well I need to get gas if we do”) but it’s a lot better. My rule is that my truck always has enough fuel to get to the BOL without refueling. If you get into the habit of getting gas at 1/2 tank then you will never run out of gas again. What I *should* do is set up a rotation schedule with my generator gas so I’m always topping the truck from cans and refilling the cans, just to keep the gas fresh. Haven’t made it past the thinking stage with that I admit. Anyway, I think of these sorts of things as areas to “improve” better to get that lesson when it is not an emergency than the moment you really need it. I have never run out of gas yet. What I HAVE done though (I hope I have learned my lesson), is allow my gas tank to get very low so many times that I ruined my fuel pump. There’s more than one good reason to never let your fuel tank get below 1/2 full. 200 miles and will buy fuel soonest. Good samaritans stop to help you. Predators stop to help themselves. We live in the middle of God’s country, way out in the boonies so we keep gas. A gas station delivers to the 200 gal tank they have lent us. (for free no less!) The cost of the gas is a small bit more but the convenience of having gas right here for the cars, boats, and chainsaw is so worth the price. Now if I could just get around to making sure the small generator we have is functioning well… There is always something more that is on my to-do list! You’re so right – everyday life gets in the way to being fully prepared. I just noticed that my shelves are becoming depleted after a summer of company every weekend. There are a lot of people around us with the same tanks, if you are in the country you may want to look into the feasibility of having an above ground tank yourself. We’ve had ours about 10 years now. By the way, Lisa, congratulations to your Daughter on her graduation!